All abilities welcome, whether you’re a beginner or an experienced surfer our camps will enhance your skills and surfing experience. Children will be supervised by our experienced, certified surf instructors from the time they arrive until they leave. Our goal is not only to have the kids enjoy every moment of their Randazzo Surf camp experience but learn how to safely work their way in and out of the ocean. They’ll have an amazing day in the sun and surf… we guarantee it! 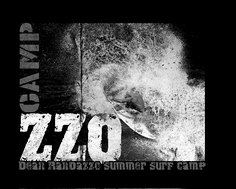 The Camp Day: Designed by Dean Randazzo (Owner/ Certified pediatric / adult first aid, CPR and defibrillator, Professional Water-men) Our surf program focuses on safety, skills, balance, education, recreation, etiquette and fun ! Introduction: Meet beach Lifeguards and certified Surf instructors about ocean safety, rip currents, surf safety, and surf etiquette. Every morning we have a mandatory group check in and surf /weather condition educational talk to all campers.